While Empathy is a natural gift given to intuitives, research suggests that it’s a strength anyone can cultivate for the betterment of their lives and that of others. According to evolutionary biologist Frans de Waal, we are social animals evolving naturally to care for each other. Since most people are wired for empathy, we have the ability to develop ourselves to become highly empathic. However, there are some people who are naturally developed to be highly empathetic. These individuals have 7 hidden strengths people rarely notice! 1. They have super curiosity. Highly empathic individuals are always curious and inquisitive. Curiosity is a fuel that keeps us truly interested about variety of topics, strangers we meet and their stories. Not only that, curiosity also enhances our life satisfaction and decreases the chance of loneliness. Empaths satisfy their curiosity not only by having an occasional chat with a stranger, but by connecting with others a little deeper than other people do. 2. They are immune to prejudices. What prevents most people from seeing others as they truly are is their tendency to assume and generalize others according to different labels. 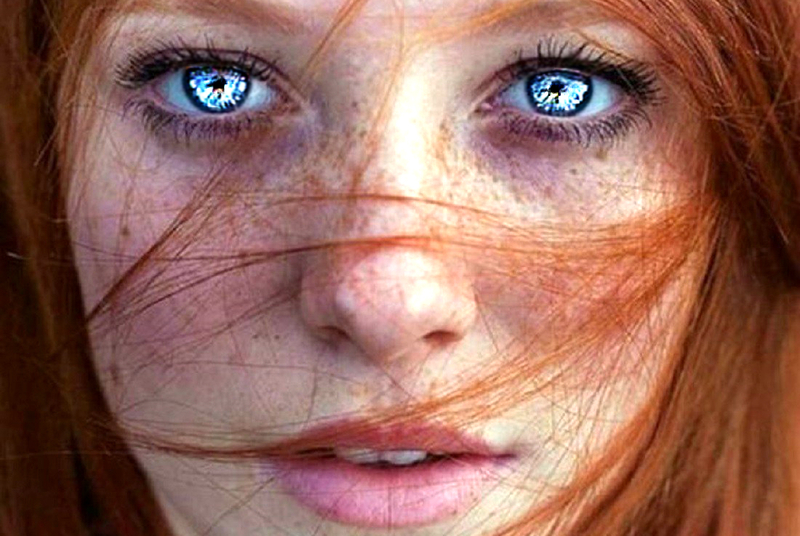 Highly empathic individuals overcome these prejudices and preconceptions by looking at others with pure eyes, letting them reveal their uniqueness. They do not care about labels, they care about emotions. Once you perceive others as emotional beings you realize that we are all the same. When you approach others with this mindset, your empathy helps to overcome strong emotions like hatred. 3. They can easily experiment with different lifestyles. Empaths are really good at getting a sense of others’ lifestyles. Thy don’t just perceive the details but understand the essence of living like someone else. Even while they watch movies or TV shows, maybe reading a book, they can easily embody the personality of their favorite character. This is because empaths have high amount of mirror neurons. They can literally feel and perceive in almost the same way like the people they have been subconsciously mirroring do. 4. They are the best listeners and people to open up to. Highly empathic individuals possess the two ingredients of becoming the best person to talk to. First, they are attentive listeners who are fully present to grasp every emotion and need that the other person is trying to express. Second, they make themselves vulnerable, removing their masks and revealing their true feelings thereby building a strong empathic bond. Empathy is a two-way street where people find mutual understanding. Through empathy, others find relief in having someone to exchange their important beliefs and experiences with. 5. They inspire mass action for a social change. Empathic bond doesn’t only happen with person-to-person interaction. It could also be applied to a mass phenomena where fundamental social change is being brought about. Highly empathic individuals are starting to support organizations that aim to bring about empathy in teaching programs, such as focusing on an infant’s emotional intelligence—which in time will bring significant decline of bullying in playgrounds and schools. People are inspired by anyone who speaks the truth! By just being an empath who inspires the world to change by speaking your own truth, without a hidden intent, you are giving people the freedom to be themselves. Empaths are healing the world, in a way, by letting others aware of their emotions and what those emotions are trying to let them know. This will prevent suppressed emotions to make important decisions in the future on a global scale. 6. They can solve the conflicts that nobody else could. In a world of “us” against “them,” conflicts could hardly be solved. But highly empathic individuals know how to find a way to unite conflicting groups by employing ‘instrumental’ empathy. Instrumental empathy is going at the other side of the spectrum to see the situation the way the opponent perceives it. Empaths are able to do this because they understand how each side perceives reality. They can play the 2 roles, at the same time, while being able to observe the triggers of the conflicts without attachment to either side. 7. They have an aggressive imagination. Empaths play in the world of emotions. They can handle emotions better than any other person. Because of their super ability to handle variety of extreme emotions, at the same time, they can go to heights of imagination that a reasonable mind can not even dream of. Through their imagination they can find possibilities and inventions that do not exist yet. They can excel in fields of art unlike any other. However, if an empath and someone with a scientifically developed mind find a way to collaborate on a project, they can be the people who invent the future of the world. We are now in an Age of Empathy where people do not only focus on their own journey but healing each other through a collective one.